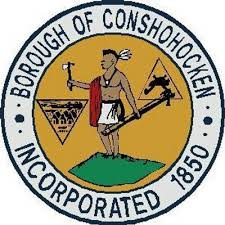 Borough of Conshohocken Comprehensive Plan - Boucher & James Inc.
Boucher & James, Inc. has been selected by the Borough of Conshohocken to prepare an update to the Borough’s Comprehensive Plan. The last time the Borough updated their Comprehensive Plan was in 2007. The Pennsylvania Municipalities Planning Code recommends a Comprehensive Plan be updated every ten years. Conshohocken Borough is located on the banks of the Schuylkill River and is just 15 miles from Center City Philadelphia. In addition to its location, Conshohocken Borough is a walkable community making it a desirable spot to live and work. As part of the update process, Boucher & James, Inc. will work closely with the Borough’s Comprehensive Plan Task Force to ensure that the plan update reflects the vision of Borough officials and Borough residents. The Task Force consists of representatives from Borough Council and staff, residents and business owners. The first step in the plan update will be a tour of the Borough scheduled for the end of this month. Boucher & James, Inc. looks forward to assisting Conshohocken Borough with this important project.